CreditDonkey.com new educational infographic helps college students avoid crippling debt and build a solid credit history. But when bills aren't paid in full every month, the cost of education becomes even higher than it already is. Today, CreditDonkey.com, a credit card comparison website published A College Student's Guide to Credit Cards, an infographic packed with statistics, advice and tips on how to avoid crippling debt and build a solid credit history. College students are using and abusing credit cards more than ever, reports an updated study by the University of Arizona and National Endowment for Financial Education, with students surveyed in 2011 expressing more disinterest in money and credit management than they did in a 2009 survey. The only bright spot is that students are more willing to learn about money management. Tran noted that the average graduating senior holds credit card debt of $4,100 – a 70 percent increase from 2004. The UA/NEFE study also found that the average freshmen’s debt had nearly tripled since 2004 – from $373 to $939. Compare student credit card offers and fees to find the card offering the best rates and rewards. Don’t just accept the first offer that arrives in the mail (or your inbox). Don’t use cards to enhance your lifestyle or purchase things you can’t afford. Living beyond your means is a good way to bury yourself in debt. Pay off card balances each month or, at the very least, pay significantly more than the issuer’s minimum payment. If you’re already a responsible card owner, and receive offers from cards advertising lower interest rates, contact your existing card issuer to see if they’ll lower their interest rates, instead of immediately applying for the other card. “If you don’t feel comfortable using credit right now, look into alternatives such as prepaid cards (which you fund with set amounts) or debit cards,” added Tran. “But keep in mind that debit and prepaid cards carry their own risks, such as minimum balance requirements and (often) less fraud protection.” They’re not perfect alternatives to credit cards. Visit CreditDonkey.com to view the full infographic on Student’s Guide to Credit Cards. 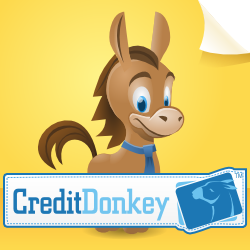 CreditDonkey.com publishes student credit card deals, reviews, and tips to help parents and college students make informed decisions about credit.